The Yahoo Fantasy Hockey system uses the following skater categories in their standard leagues: G, A, +/-, Hits, PPP, SOG. The skater rankings shown below are based on these settings only (but do not include the +/- category). 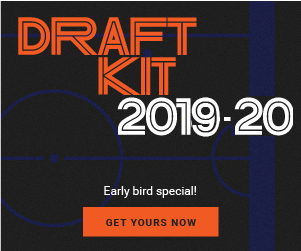 For skater rankings customized to your exact league settings, consider getting a draft kit for the 2018-2019 season.